1. There is a VSB store where all of our active campaigns are housed. 2. Although the hoodie options don't initially appear on the page, they do if you click on a campaign and then go to "additional styles." 4. 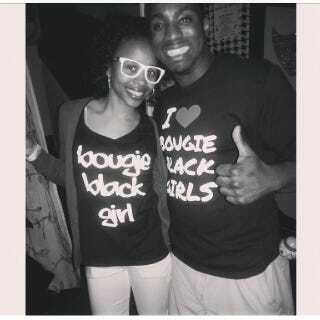 There are gray options for the Bougie Black Girl shirts and hoodies. 7. Look at how fly everyone with these shirts is! Don't you want to be this fly too?